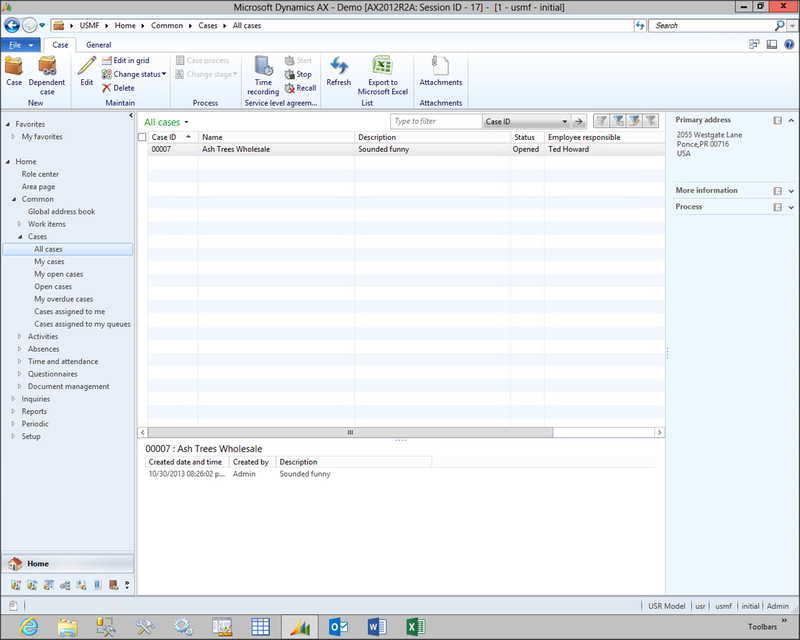 Step 1: To create a new Case directly from the Customer List, click on the Case menu item within the New group of the General ribbon bar. 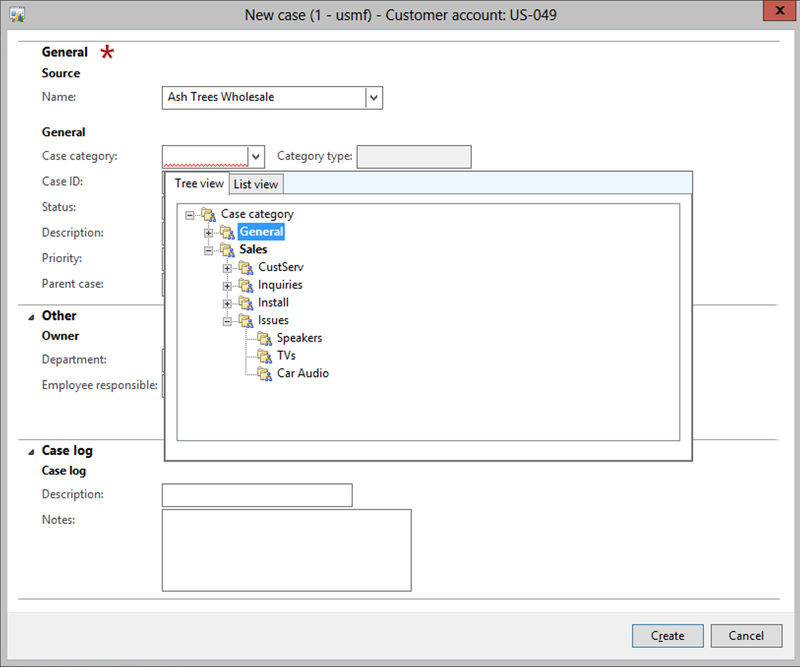 Step 2: When the new case dialog box is displayed, select the type of Case from the Case category drop down tree. 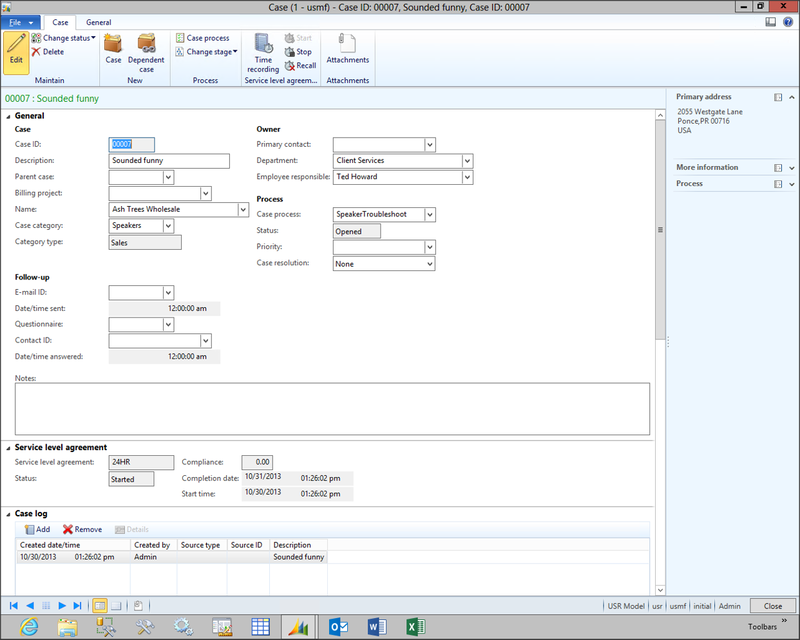 These are completely configurable by the user and can have as many levels and groupings as required. Note: The Name will be automatically populated and linked back to the customer account because it was initiated with that record. 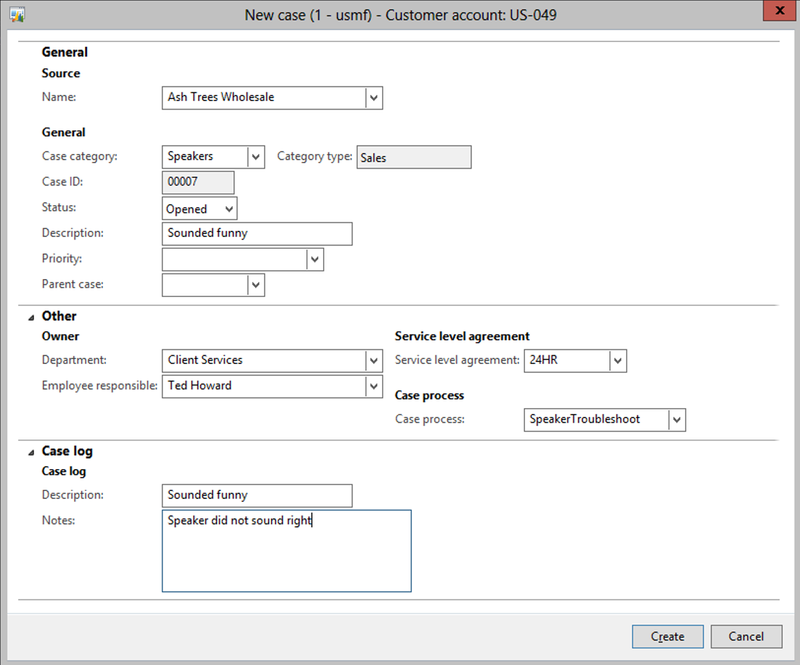 Step 3: Fill in all of the other information about the case, including the Department that it should be associated with, the Employee responsible who will be assigned the case, and also and additional Description and Notes that you want to add to the case. 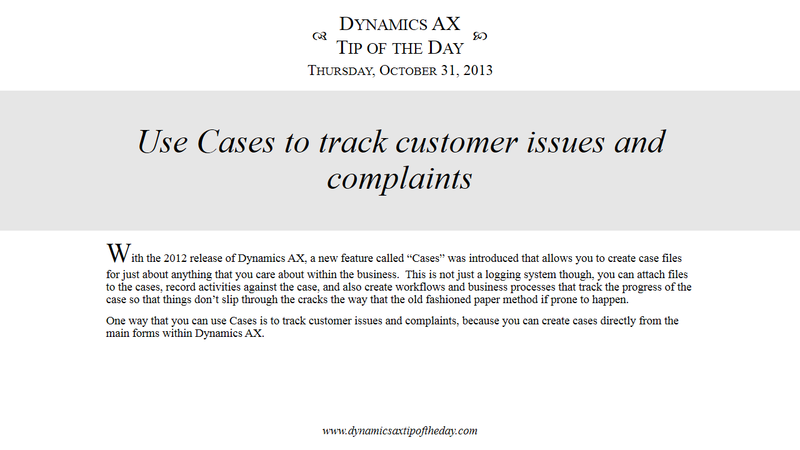 Now the case will be tracked within the system, and the users will be able to see all the reported incidents and filter by product, and customer. There is also a lot more detail that you can track against the case, including an unlimited number of notes and comments.